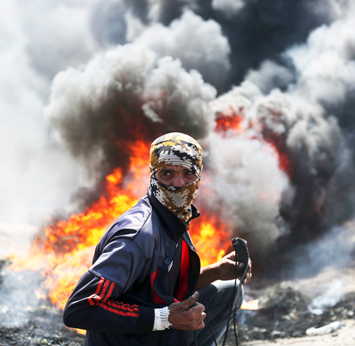 Palestinian protesters take part during clashes after protests near the border with Israel in the east of Gaza Strip, May 14. More protests followed in the Palestinian territories on May 15. At least 58 Palestinian protesters were killed and more than 2,000 others were injured at the Gaza-Israeli border during clashes against the U.S. Embassy move to Jerusalem as well as marking the Nakba Day. On the first day of the Muslim holy month of Ramadan and as trouble unfolds in the Middle East, the Honorable Minister Louis Farrakhan delivered a divine message of guidance and warning to the Muslim World as tension and pressure rises in the region. During the Ramadan Prayer Line, where Islamic scholars and Believers from different schools of Islamic thought tune in at 5 a.m. for daily spiritual messages, sayings from Prophet Muhammad of Arabia, and recitations from the Muslim holy book. Minister Farrakhan opened by expressing his desire that the divine month of fasting and prayer be a blessing to every Muslim on the planet and a blessing to all who observe. Ramadan is a month of fasting during the daylight hours and special prayers Muslims are commanded to observe each year. It started May 16 in the Chicago area. 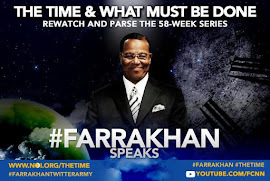 Fasting is a divine prescription from Allah for the Believers to guard against evil, but evil is everywhere in the Muslim world, and the clouds of war are gathering over the Holy Land, Minister Farrakhan stated during his near 30 minute message. Allah is the Master of the Day of Requital, meaning He can punish whom He pleases and show mercy and forgiveness for those whom He pleases, the Minister continued. Many in the world of Islam have earned the chastisement of Allah as Muslims are now killing Muslims at the suggestion of evil ones and to the delight of Western governments, he said. 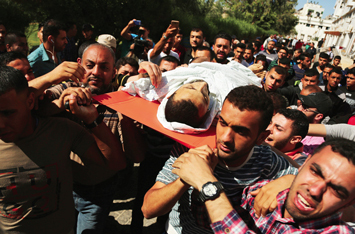 Mourners carry the body of a Palestinian, who died during a protest at the Israel-Gaza border, at ahospital morgue in the northern Gaza Strip May 14. During President Donald Trump’s recent visit to the Holy Land, Minister Farrakhan described how the American president pitted Muslims against Muslims, Sunni against Shia, and now there is the Saudi Arabian promise to spend billions of dollars on American weapons. Mr. Trump was feted by the Saudis and spoke to Sunni nations allied with and under the sway of the monarchy against the Islamic republic of Iran and Shia nations. 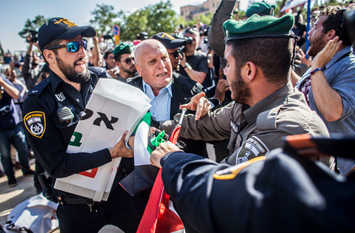 Israeli border police officer pulls a sign from a Palestinian protestor outside the new U.S. Embassy in Jerusalem May 14. Israeli soldiers shot and killed dozens of Palestinians during mass protests along the Gaza border. It was the deadliest day there since a devastating 2014 cross-border war and cast a shadow over Israel's festive inauguration of the new U.S. Embassy in contested Jerusalem. Now Muslim nations are at odds with nations, said Minister Farrakhan, who was also scheduled to speak at Mosque Maryam, the Nation of Islam headquarters in Chicago, on Sunday, May 27, 2018. “How can it be a blessed Ramadan with Muslim nations buying weapons from America; training their weapons on fellow Muslims? Muslims in such disagreement with one another that nations are splitting apart from nations and the guns are turning toward Iran and Iran is preparing to fight back?” asked Min. Farrakhan. “Is this a blessed Ramadan, with blood being shed in the Holy Land over Jerusalem?” he asked. Ramadan is supposed to be a time of great spiritual focus and development, where arguing and fighting is prohibited and Muslims celebrate the revelation of the Holy Qur’an, the Islamic book of scripture. “Is this a blessed Ramadan when the Muslim world felt the pain of the Palestinians under the tyranny of the Israeli Zionists, but now many of the Muslims have turned away from the suffering of the Palestinians and now their guns are trained at each other?” the Minister continued. He was referring to the latest deadly violence that broke out in the Gaza Strip, on the Gaza-Israeli border. Thousands of Palestinian protestors gathered near the border March 30 for the “March of Return,” which marked the beginning of a Hamas-led six-week demonstration calling for a return to homes lost 70 years ago during the war connected to Israel’s creation. 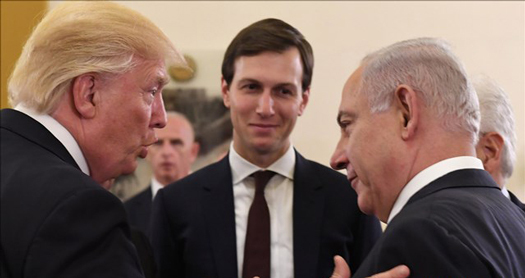 Benjamin Netanyahu, Jared Kushner and U.S. President Donald Trump are seen during their meeting at the King David hotel in Jerusalem. But not only are the Palestinians denied a return to their land. Bloody and deadly encounters erupted this year as Zionists fired live ammunition on those who protested and tried to break though the fence. Gaza has suffered under an Israeli blockade. Israel, according to the Associated Press, said the blockade is needed to prevent Hamas, which opposes Israel, from building up its military capabilities. But the blockade keeps food, medicine and necessities out of the area. People knew there would be a lot of demonstrations, but those killed were just protesting injustice, argued John Parker, who is a candidate for Senate in California on the Peace and Freedom Party ticket and anti-war activist. “Just for that, they’re being assassinated and killed, a death sentence for protesting injustice and that’s what Israel is doing,” he said. The killings occur with U.S. weapons, from Apache helicopters, to depleted uranium bombs to the billions of dollars that America gives to Israel’s military, Mr. Parker stated. “Israel couldn’t exist and couldn’t be killing children like they’re doing now without the complicity of the United States, so it’s not only Israel that’s committing this genocide. 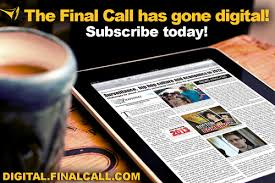 It’s the United States as well,” Mr. Parker told The Final Call. Israeli gunfire has killed more than 110 Palestinians and wounded hundreds more since the protests began on March 30. On May 14, 59 people were killed in the deadliest day of cross-border violence since a 2014 war between Israel and Hamas. Some 1,300 others were wounded by live fire, the Associated Press said. 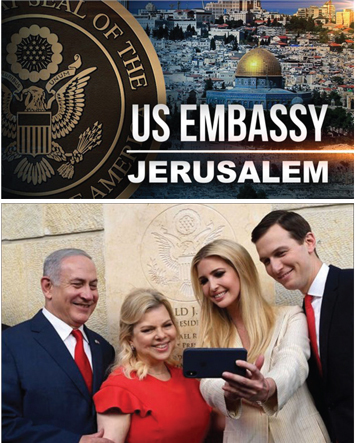 (L to R): Benjamin and Sara Netanyahu with Ivanka Trump and Jared Kushner at the opening of the U.S. Embassy in Jerusalem, May 14. But, UN human rights chief Zeid Ra’ad al-Hussein said May 18 that Israel had not tried to limit casualties during the border protests. According to Mr. al-Hussein, more than 12,000 people were injured and at least 3,500 were hit with live ammunition. “This is just a continuation of those genocidal policies, and I think they—the Israeli government and (Prime Minister Benjamin) Netanyahu—feel more empowered because of Trump,” added Mr. Parker. Mr. Parker participated in Los Angeles’ May 14 national “Day of Rage,” meant to raise awareness about the suffering of Palestinians. Last December, President Trump announced a unilateral decision to officially recognize Jerusalem as the capital of Israel. 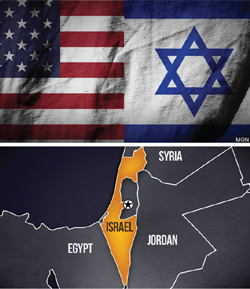 On May 14, two days before the start of Ramadan and as the Gaza protests were underway, the United States and Israel celebrated moving the American embassy from Tel Aviv to Jerusalem, sparking additional outrage and violent protests. No president of a Western country ever dared to do that, observed Minister Farrakhan. President Trump also beckoned England, France, and other nations to move their capitals as well, though wise politicians of the past knew that would disturb and anger the Muslim World, he said. Jerusalem has been long designated an international city with claims to it lodged by the Zionists and Palestinians, and its final status was to be part of a final negotiated peace settlement. 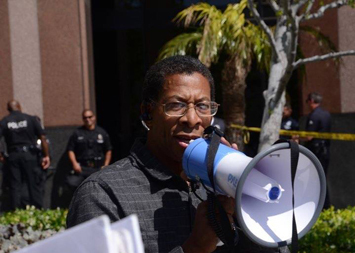 John Parker, candidate for the U.S. Senate on the Peace and Freedom Party ticket, speaks at the May 14 “Day of Rage” protest in Los Angeles against the same day shootings by Israeli snipers of Palestinian demonstrators in the Gaza Strip. “When they moved that embassy to Jerusalem, it negated all of the so-called peace efforts by the U.S. imperialist presidents before. 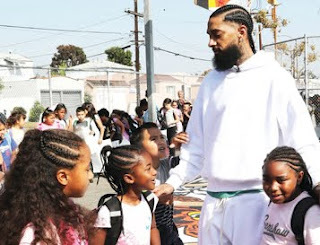 They were not very sincere measures in the first place, but this really was a big slap in the face to anyone wanting peace and justice,” Mr. Parker said. Minister Farrakhan pointed out how Saudi Arabia is displeased with the Palestinians, saying they should have accepted a U.S.-Israeli peace plan, but the plan was “rightly rejected.” Saudi Arabia is a major U.S. ally in the region and is seen as a counterweight to the power and influence of Iran, its regional rival. According to media reports, Saudi Crown Prince Mohammed bin Salman said Palestinians should either accept peace proposals or stop complaining. A special session of the United Nations Human Rights Council on May 18 ended with a resolution by member states to investigate weeks of violence on the Israeli border with Gaza. Member states adopted the resolution by 29 votes for, two against and 14 abstentions. “Palestinians have exactly the same human rights as Israelis do. They have the same rights to live safely in their homes, in freedom, with adequate and essential services and opportunities,” said Mr. al-Hussein. Palestinians are “in essence, caged in a toxic slum from birth to death; deprived of dignity; de-humanized by the Israeli authorities to such a point it appears officials do not even consider that these men and women have a right, as well as every reason, to protest,” he said. 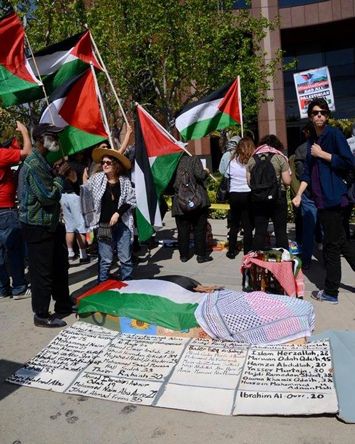 Los Angeles was the site of May 14 protests in reaction to Palestinian deaths by Israeli snipers in Gaza. Minister Farrakhan asked rhetorically: Will the Muslim World be angry at what President Trump and America have done? “Imagine the ambassador to the United Nations saying that Israel has a right to protect her borders. Israel has a right to protect her stolen property? Israel has a right to take that which was granted to her through politics and not from Allah? Do you think that you will stay there?” he asked. There will be plenty of bloodshed in the Middle East, Minister Farrakhan warned, citing a warning from his teacher, the Honorable Elijah Muhammad, patriarch of the Nation of Islam. America will have to come out of the Middle East and if not careful, the cost will be tremendous bloodshed, the Minister warned. He also warned Muslim nations to heed guidance coming out of the Nation of Islam, saying the Great Mahdi, the prophetic self-guided one the Islamic world is expecting, has made his appearance in North America and deposited wisdom in the Hon. Elijah Muhammad. The Minister urged Muslims to follow the wisdom his teacher has offered and guidance he is sharing, saying his motivation was neither vanity nor ego. He urged the clashing Islamic leaders to sit down and hash out their problems based on the guidance of the Holy Qur’an. 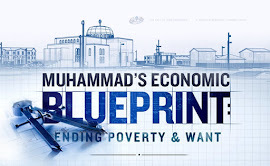 Minister Farrakhan called on Believers to pray for the Muslim world. Without fail, study the Qu’ran every day, gird up their loins, and let this Ramadan be a noble one, he said. 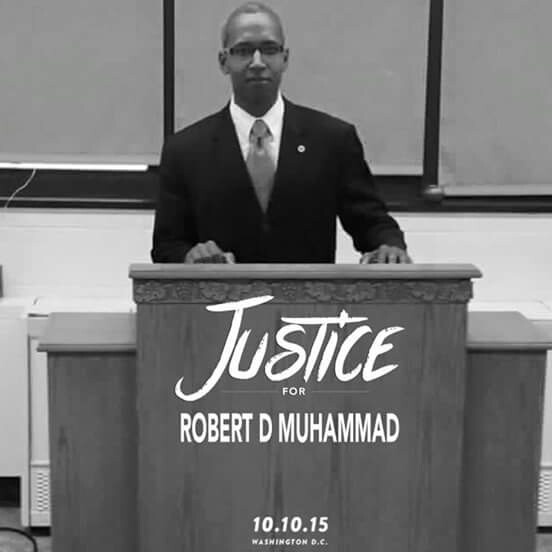 “I was, as all of us, very informed and inspired by the Honorable Minister Louis Farrakhan’s message, but honestly, it was no new message, because we’ve been at this point before,” said Imam Amin Nathari, founder of the Islam in America Movement. He recalled that during last year’s message during Eid festival to close out Ramadan, Minister Farrakhan spoke about the reality of war looming in the Muslim world. 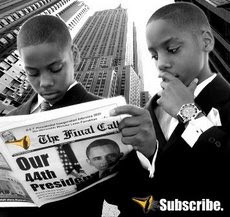 Minister Farrakhan has been constantly warning as he has served as the Nation’s representative in the absence of the Honorable Elijah Muhammad, Imam Nathari emphasized. A look at the history of Ramadan historically will show that some of the most contentious battles fought in the history of Islam were waged during Ramadan, he said. “For us, we’re not in a full-fledged war where we’re going into our mosques with people in front with tanks, but we know we’re engaged in another kind of war against our open enemy,” said the Islamic scholar and author. “For us, our war, our jihad, is the struggle to just do what Allah has commanded us to do and there’s no better time to be reminded of our responsibilities to that struggle than during the month of Ramadan,” he told The Final Call. He feels the Muslim world is a cautionary tale for Muslims in the West to not be divided. “As the (Quranic) verse tells us, ‘We were on the brink of a pit of fire, and then Allah saved us from it.’ That’s one of the cornerstone verses in the Qu’ran that talks about the unity of the Muslims,” Imam Nathari said. “We can never overstate the importance and value of the Honorable Minister Louis Farrakhan, particularly in this hour that we live in,” he added. 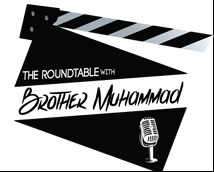 One of the beautiful things about Minister Farrakhan is that he’s un-bought, un-bossed, and un-compromised, so he doesn’t have to take a politically correct position, said the imam.